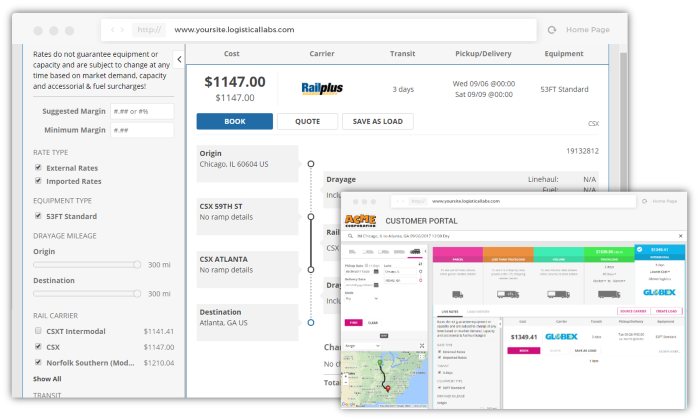 Logistical Labs helps Intermodal Marketing Companies build automated, door-to-door products connected by APIs so that they can expand their customer base and increase revenue. Whether you’re looking to better manage internal processes, empower your customers to book shipments on their own, or feed all-in rates into your customers’ transportation management systems, our solutions help you work more efficiently and win more business. Manage your internal ramp-to-ramp, drayage, and door-to-door process.